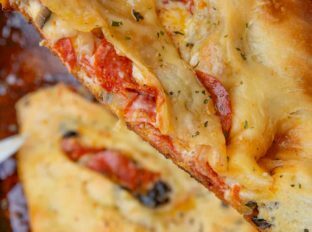 Easy Calzone Pizzas filled with pepperoni, sausage, olives, onions and cheese baked in 20 minutes with a crispy crust and perfect for dipping. 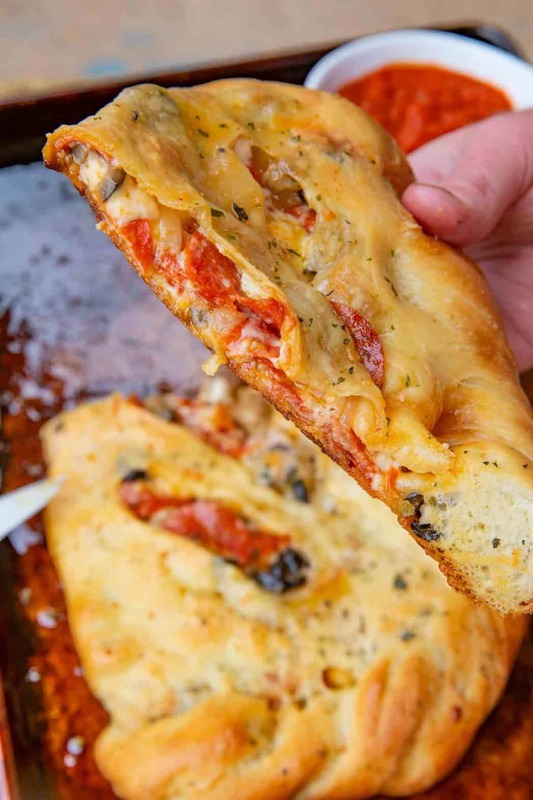 Calzones may be the most underrated Italian food on menus full of Ultimate Meat Lasagna, Easy Bacon Carbonara Pasta and Easy Chicken Parmesan but this handheld dippable crispy pizza deserves more respect for it’s melted cheese delivery system. 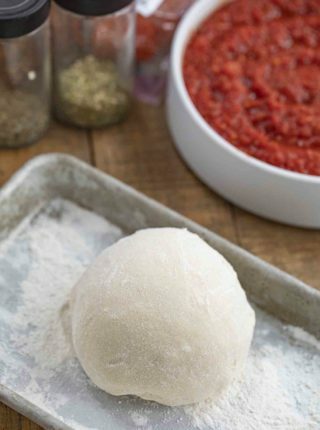 Calzones are the original hot pockets but better with a homemade Pizza Dough, homemade (EASY) Pizza Sauce and with sides of ranch dressing (see recipe below) and easy marinara sauce you can make these calzones for a crowd as appetizers or for easy weeknight dinners. The word calzone is Italian and calzones were first created in Naples, Italy where the translation of the word “calza” which means stocking so it’s meant to be like a pizza filled with food like a stocking. 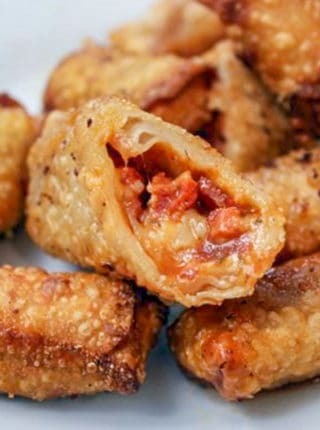 The best part is all the delicious melted cheese that stays inside with the crispy crust both on top and on the bottom. If you’re a fan of thin crust is your favorite type of pizza crust then calzones are the perfect option for you. 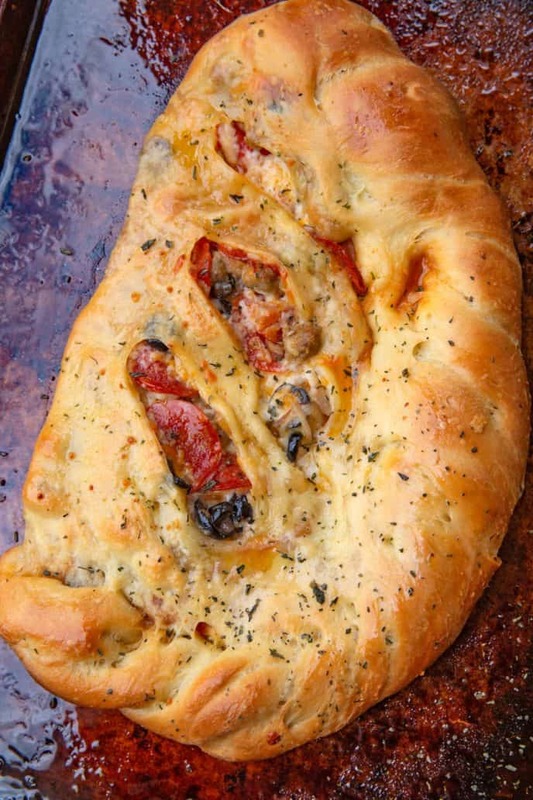 Is Calzone Dough the same as Pizza Dough? 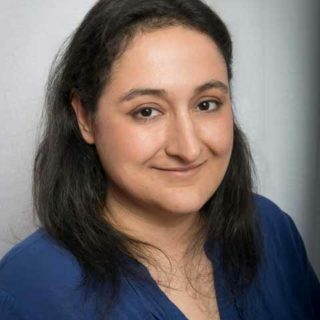 Yes calzone dough is the same as pizza dough, you roll it out to 1/4″ thickness then add the filling to the middle of the dough, roll and pinch the ends of the dough together and cut slits into the top to allow steam to escape so the dough can crisp up and become golden brown while baking. 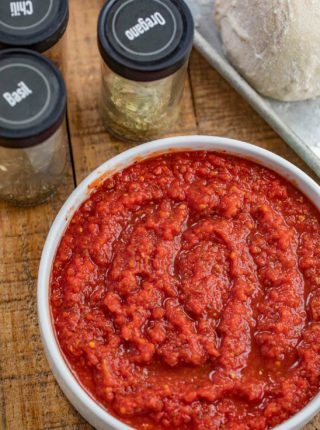 Since the calzone is a closed pizza recipe you’re going to want to use a traditional pizza sauce recipe instead of marinara sauce or tomato sauce for your filling. 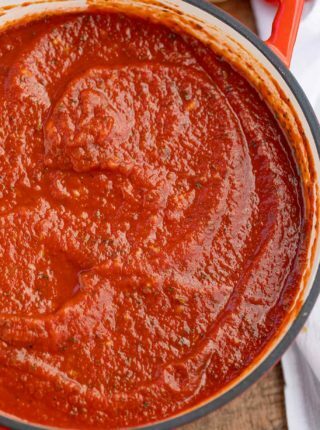 The extra liquid in the tomato sauce and marinara sauce will cause your calzones to become soggy. I like to brush the crust with olive oil but you can also use an egg wash or top with parmesan cheese and Italian seasoning for a more flavorful and decorated crust. We love serving Olive Garden Italian Salad (Copycat), Garlic Bread, Ultimate Spinach Artichoke Dip and Baked Million Dollar Spaghetti for the perfect Italian meal! Preheat oven to 500 degrees (preheat your pizza stone if using one) and sprinkle work surface and rolling pin with flour and roll each piece into 10 inch circles 1/4" thick. Spoon the pizza sauce onto the half of the dough, then add the olives, onions, pepperoni, sausage and cheese. 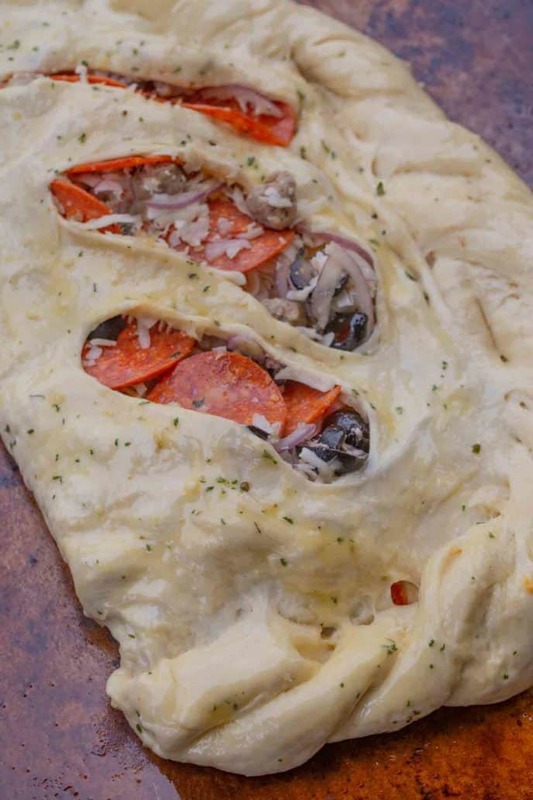 Fold dough in half, wet the edges and roll and crimp, pinching it closed then brush with olive oil and cut 2" holes into the top two times to allow steam to escape. Cook for 10 minutes, on a pizza stone or baking sheet (use cooking spray), brush with more olive oil and cook for another 10 minutes. THIS!!! YUM! It’s lunch time here and I am thinking this should be lunch. I love how easy are these! My girls love them as well! Super kid friendly, for sure! So glad you all love them. This looks so good!! This would be great to change up pizza night! Plus, everyone can add what they like to theirs! Thanks! Yes, so easy to customize. This is such an easy recipe! I love making calzones for my family! Thanks for the 5 stars, Lauren. So fabulous! One of our favorites! So glad you enjoyed it, Rachael!